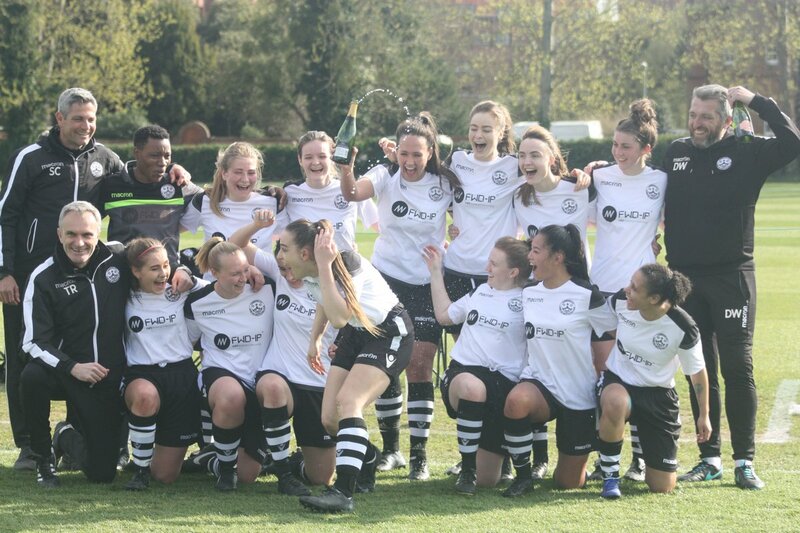 Cambridge City became Eastern League champions, while Crawley Wasps Reserves took the South East Counties Premier Division crown. PREMIER – Cambridge City clinched the title with a 4-0 result over Peterborough Northern Star. Royston Town scored five at AFC Dunstable, Acle United beat Brentwood Town 4-1 away and Bedford ran out 7-3 victors at Haringey Borough. ONE – Bowers & Pitsea beat King’s Lynn Town 4-0 away with Georgia Fraser hitting a hat-trick and the hosts’ Charlotte Griffith sent off. Hertford Town held Newmarket Town 1-1, Lawford won 2-1 at Hatfield Peverel, Stevenage Reserves went one better at Histon. 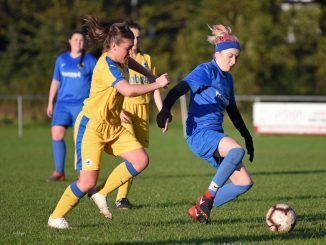 PREMIER – Ollerton Town edged Loughborough Students 2-1, Mansfield Town’s Zoe Meynick got all their goals in a narrow 3-2 result at lowly Eastwood. 1 SOUTH – Even though Oadby & Wigston beat Lutterworth Athletic 3-0 they lost the leadership to Northampton Town, whose 5-1 scoreline at Thrapston Town but them top on goal-difference. LEAGUE CUP S/Fs – Woodlands just about got past Hykeham Town by the odd goal in nine, Jody Scott with three of them. Leicester City WFC Development went through 2-1 at Oughtibridge. LEAGUE PLATE S/Fs – Chelsie Hooley netted the only goal as Notts County reached the final after extra-time at the expense of Rise Park. Boston United crushed Calverton Miners Welfare 20-0 as Toni McHamilton top-scored with eight. GREATER LONDON PREMIER – Lavana Neufville got four as Ashford Town (Middx) stormed to a 9-2 win at Watford Development which put them top. 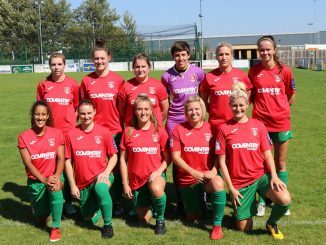 Substitute Jessica Winchester scored as Godalming Town leapfrogged New London Lionesses into second. JOHN GRENACRE MEMORIAL TROPHY 3RD RD – Regents Park Rangers progressed by seeing off East London 3-0. 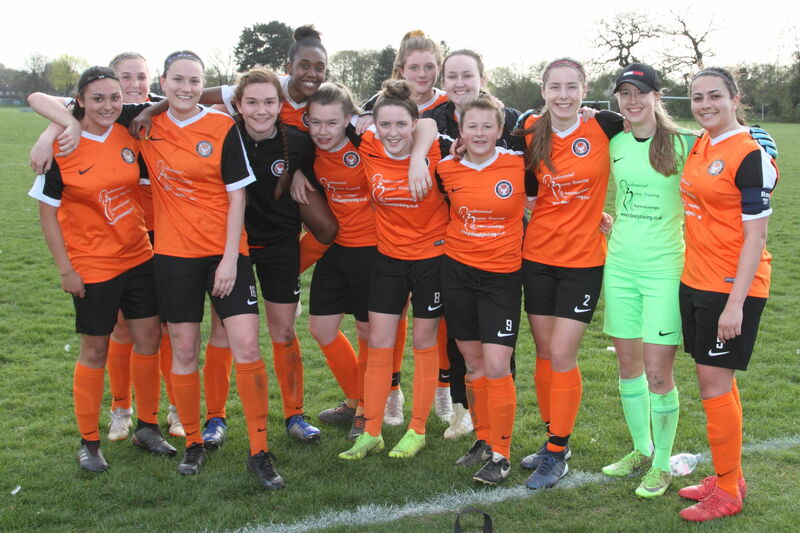 SOUTH EAST COUNTIES PREMIER – Crawley Wasps Reserves became champions after a 1-1 draw with visitors Ashford in the top of the table clash. Newhaven edged Eastbourne Ladies 2-1 and Chloe Winchester got both their goals. PREMIER – Harrogate Town’s six goals past Wallsend BC all came from different scorers, Ryton & Crawcrook Albion Tynedale scored three to Farsley Celtic’s two. PREMIER – Sir Tom Finney were the first to deny Stockport County victory, holding them to a 2-2 draw. Mossley Hill Athletic beat Fleetwood Town Wrens 3-0, Wigan Athletic defeated Accrington 3-1. 1 NORTH – Bury put away thirteen goals at Morecambe Reserves to go second. Preston North End picked up the points 6-2 at Leigh RMI, Blackburn CSC beat Cammell Laird 4-0 and a single goal was enough for Workington Reds to defeat Burscough Dynamo. 1 SOUTH – Altrincham are fourth after putting five past Wythenshawe Amateurs, Northwich Vixens won 3-0 at Didsbury. ARGYLE SPORTS KIT CUP Q/F – FC United of Manchester progressed past Penrith 3-0, West Didsbury & Chorlton knocked out Chester 4-0. ARGYLE SPORTS KIT PLATE Q/F – Blackpool beat Manchester Stingers 4-2 and Stockport County Blues eliminated Carlisle United 3-0. PREMIER – Southampton FC Ladies went level on points with leaders AFC Bournemouth, Chloe Newton with all four goals in a 4-1 away win. 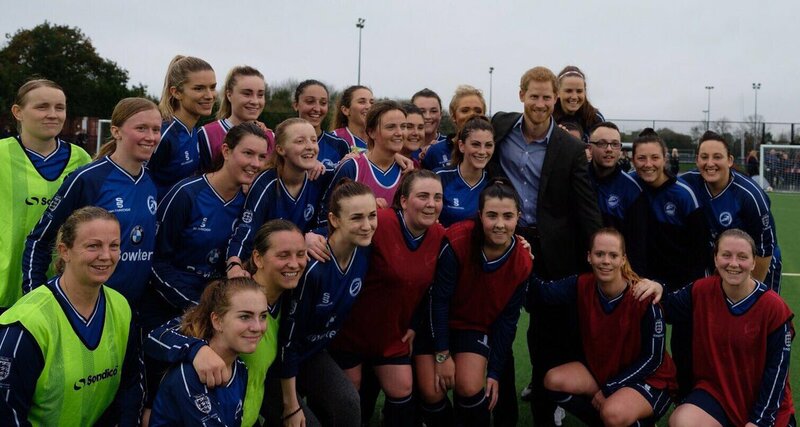 Megan Fox matched that achievement as Warsash Wasps won a seven-goal thriller at Oxford City. There were 2-1 wins for Woodley United at Barton Rovers and Winchester City Flyers over New Milton Town, while Ascot United netted four past Newbury. ONE – Yet another four-goal star was Wycombe Wanderers’ Tara Ashley Woodward, as they won 5-2 at Eastleigh to join leaders Moneyfields on 42 points. PREMIER – Exeter City took over the leadership when scoring four against Forest Green Rovers. Ilminster Town downed third-placed Callington Town 2-0, Marine Academy Plymouth had a similar result at Portishead with both by Sam Drewery, Middlezoy were 3-1 winners at Torquay United. 1 EASTERN – Swindon Spitfires are fifth after a 5-1 result, which was FC Chippenham’s nineteenth loss in a row. PREMIER – Top team Leafield Athletic played out a goalless draw with third-placed Sutton Coldfield Town. Redditch United ran in seven against Stockingford AA Pavilion, Goldenhill Wanderers got five past Worcester United and Lye Town won the basement battle with Knowle 4-2. 1 SOUTH – Kidderminster Harriers defeated Droitwich Spa 4-0 to climb to second, Kingfisher had a 5-0 victory over Leamington. LEAGUE CUP Q/F – Crusaders’ Jodie Lewis scored deep into extra time in accounting for Coundon Court.